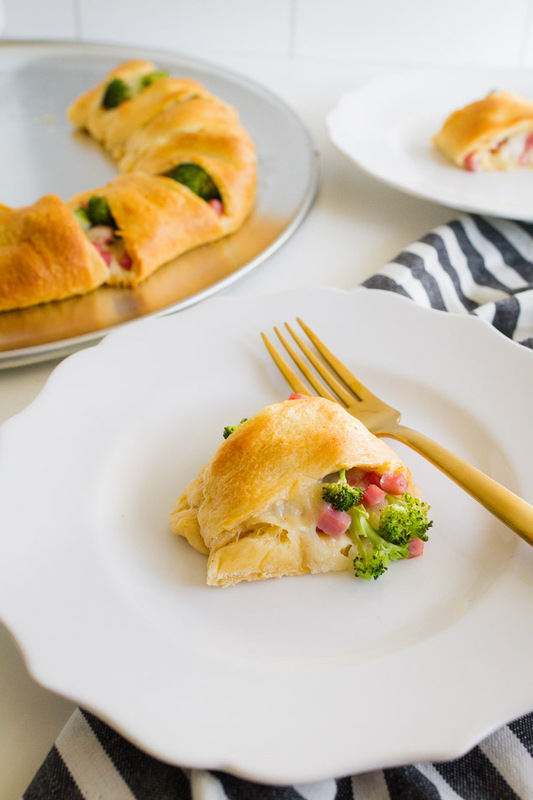 We are so happy to be working on a sponsored post with Smithfield again to bring you a family favorite recipe today. 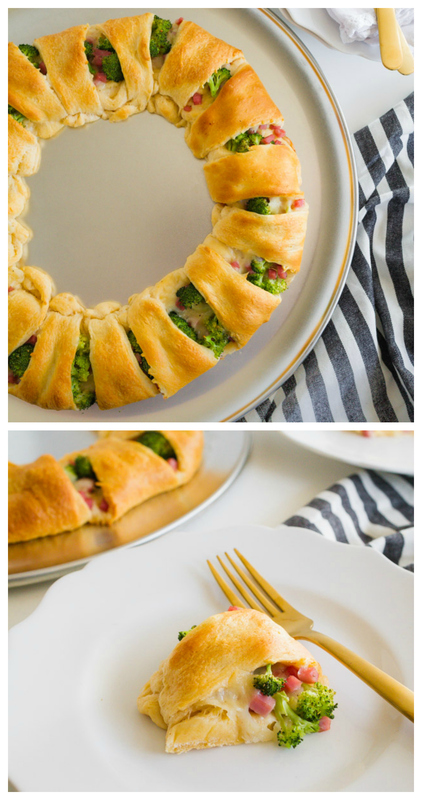 This Ham and Broccoli Ring is so perfect for holiday get-togethers and all throughout the year. It looks a little fancy, but is super quick and so easy to put together. Your family will love this recipe. The kids won’t even mind that it includes a vegetable because it tastes so good combined with the ham and the cheese. 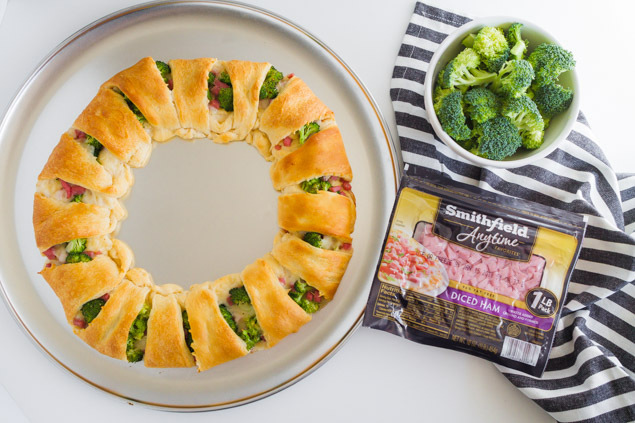 We love using the Smithfield Anytime Diced Ham because it cuts down on prep time and you can get this in the oven in under 10 minutes. It’s also great for holiday parties because it’s simple to put together and makes a great appetizer or side dish. 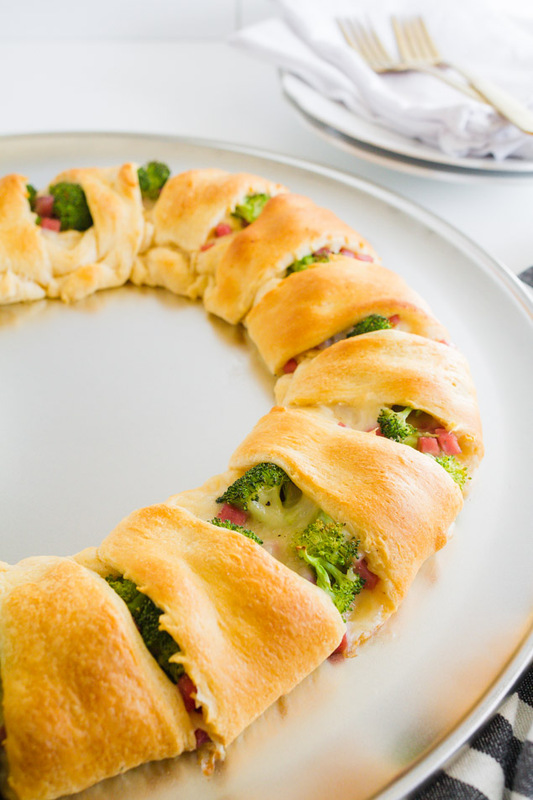 Let’s get to it, whip up your family a Ham and Broccoli Ring! In a medium bowl mix together diced ham, broccoli and cheese. Sprinkle in pepper and garlic powder and mix to combine. 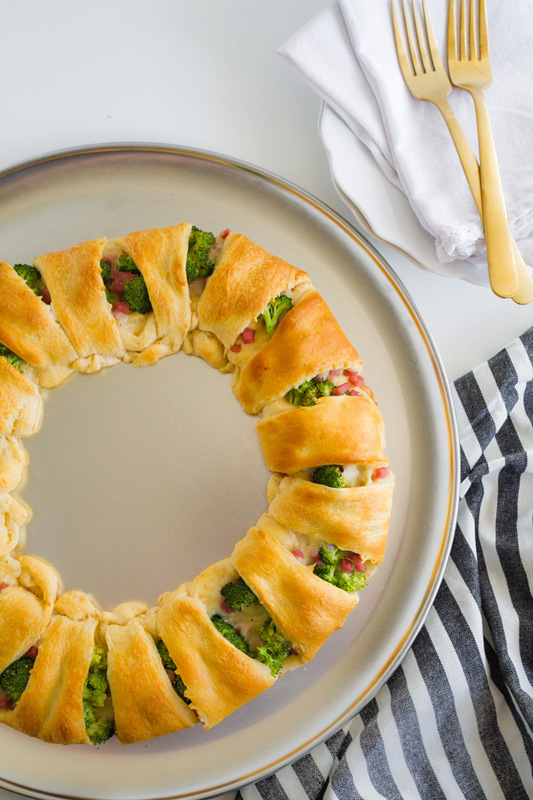 Open crescent rolls and arrange each in a circle on a large round baking sheet with the small tips hanging off. The wider ends will be overlapping a bit. Evenly spoon the ham mixture over the middle of the ring. Gently fold the small tip of the crescent roll end over the mixture and tuck under the other side. Repeat with remaining crescent rolls. Let it set for 5 minutes before serving. Oh boy these are so good! I hope your family enjoys it as much as our family does! Smithfield has an awesome sweepstakes happening during the month of December called the 31 Days of Smithfield Cheer. They are giving away a prize every day to members signed up for their rewards program, Smithfield Rewards with a grand prize of $5,000 to pay off holiday debt! All you have to do is log-in or create an account and visit the Holiday Hub page. Be sure to use the secret word EIGHTEEN25 when you register before December 31, 2017 and you’ll be entered for a chance to win a trip for four to Beaches All-Inclusive Resort – Jamaica! See Official Rules for more details. Oh my gosh this looks sooooo good!!! MMM!